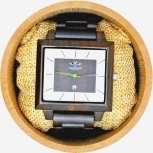 The rich red colouring of sandalwood makes an attractive base for our high-quality wooden watches. Its dark streaks only serve to emphasise the beauty of the wood proving a magnificent choice for your next watch purchase. Analog watches have never gone out of style despite our fondness for more technological devices f? 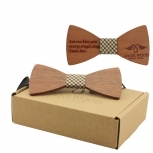 So up your fashion game today. 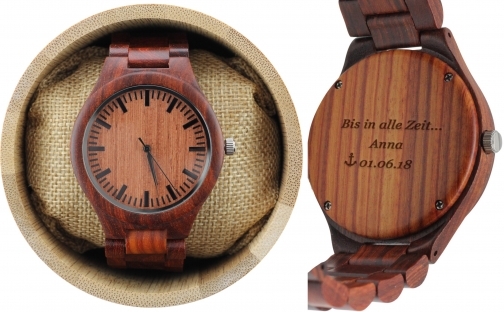 UNCOMPARABLE BEAUTY: Wearing a wooden watch is the closest you can get to nature without climbing a tree. 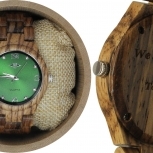 Lightweight and in keeping with their natural beginnings, the simple beauty of a sustainable wood watch is incomparable. Move over smartwatches f?? modern analog timepieces are back in style. Note that we use a manufacturer for our production, we design the watch along with them and produce it. 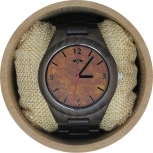 We then customize the watch to your liking ourselves, in our shop and ship it directly to you from our shop in Deux-Montagnes Quebec,Canada.Superior customer service is always at the forefront of our mind, 100% satisfaction guaranteed.